Planning for your D-day? Make sure you have put shoes on your checklist! 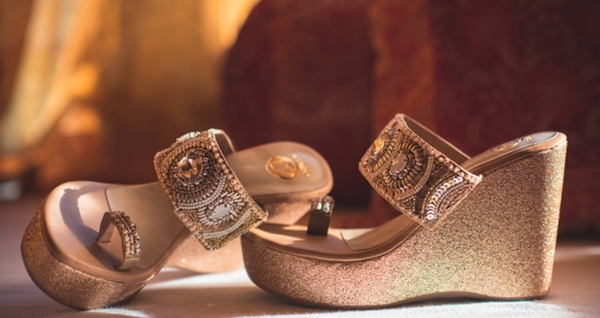 Along with the clothes, the shoes are also important when it comes to the wedding attire of the bride. 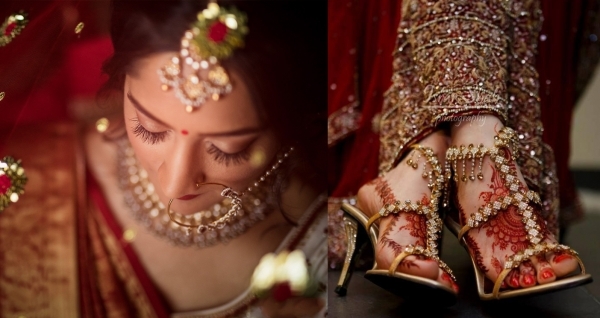 Shoes are like a girl’s best friend and on her special day, every bride deserves the right kind of shoes don’t they? But as every bride is unique, their taste is different as well. 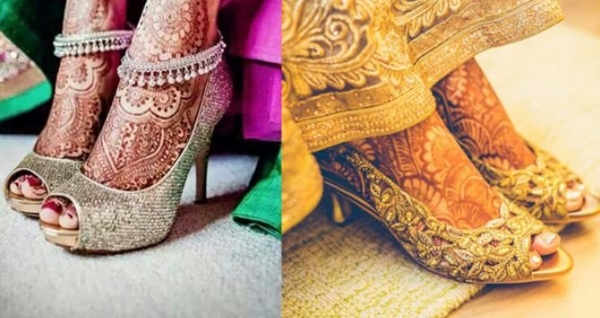 So here are some of the wedding shoes that are loved by brides all over the world. If you are the bride who values comfort as well as style then you should definitely opt for flats and wedges. While flats like ballerina shoes look elegant and feminine, wedges are comfortable as well as stylish. These types of shoes are available in different sizes as well as colours. Want to show off your nail paint? Then peep-toe shoes are the ones for you. There are opening on these shoes which are narrower than other kinds of shoes. Whether you want them with to be open or closed at the back, that is completely upon you. They are available in various colours. Some of them also come in different sizes of heels. If you want to appear taller on your wedding day, then this is the shoe you should go for. These types of shoes expose your feet a lot, especially the sides. In these kinds of shoes, you can see that the back as well the front part is open. Whether you want them to have sequins or in basic colours, there are a lot of options available for you to choose from. Want to wear something different on your wedding day? then you can try sling-back shoes. They are open at the back and there is only a strap which will provide support to your ankle or heel. Usually, the straps are elastic. In some cases, there is also a buckle available on the strap that will help you to achieve a snug fit. 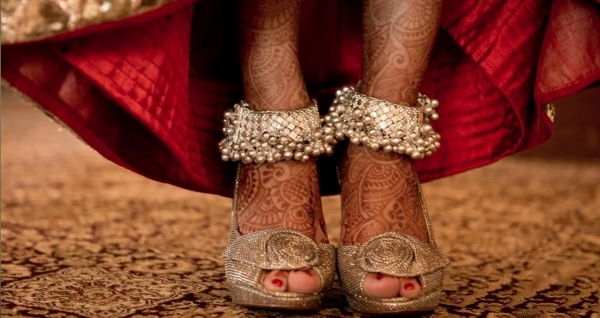 Close toe shoes are favoured by a lot of brides as they provide ultimate comfort and support from all sides. They are available in different designs. Going for the unconventional look? Want to be more quirky? 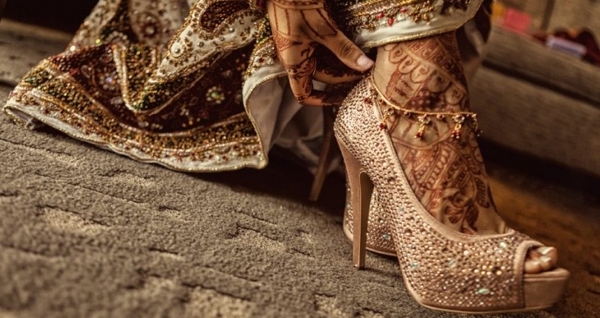 When it comes to shoes, you can always wear boots on your wedding day. Boots are available in various sizes as well as colour. You can opt for a thigh-high boot or an ankle length boot, depending upon the wedding dress that you will wear. Confused already? Well don’t be! There are different kinds of shoes available in the market. But no matter what shoes you select, it will be good if you can carry them off with confidence and style.